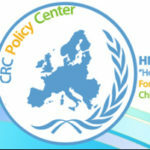 Andria Neocleous holds the position of the Director of the Humanitarian Division of "Hope For Children" CRC Policy Center. Andria's collaboration with the Organization started when she was as an external partner for handling unaccompanied minors and implementing EU programs in 2010 and since April 2014. Andria completed her internships in a child house of Social Welfare Services in Nicosia. At the same time she worked for two years as a social counselor at the Unit Rehabilitation of Torture Victims (project funded by the European Refugee Fund), providing social support to survivors of torture and their families, but also victims of trafficking. Then, Andria worked as a consultant to the company First Elements Euro consultants Ltd until February 2014, where she participated in the implementation of European and national projects, and undertook the writing of proposals and preparation of reports for project monitoring and financial reporting. At the same time, Andria was the principal investigator for the program in Cyprus “Data Collection and Research Services on Fundamental Rights Issues” of the European Union Agency for Fundamental Rights (FRA).